Take your time choosing a dentist. It is an important decision that will make a difference in how you feel about your dental treatment. And it is very important that you do not wait until you have a serious dental problem or need emergency care and assistance to make your choice. If you are considering a new dentist, then you need to do some research before selecting the one that is going to be best for you. You have to look for a suitable person to undertake the work and there are a number of elements you should consider. The best place to start is their website. If they have a professionally presented website that is easy to navigate and has the information you are looking for, then you can be more confident that they have a professional approach to their business. There are many indicators of a person who is committed to maintaining high professional standards in their work and this can be an important consideration when you are assessing the care you need. With online reviews now becoming much more popular, you might be able to identify if there have been reviews posted for their practice. Preferably, you will be choosing a dentist who is located reasonably close to your place of work or where you live. Having them in an easily accessible location makes it much easier for you to be on time for your appointments. You need to know the hours that they are open as well so that you will be able to schedule an appointment at a time that will suit you and your arrangements. You will need to identify if your dentist will process your account through the arrangements for your health insurance. These will often be able to be done while you are there in the surgery and you will only need to be billed for any difference. You also need to identify if your dentist offers flexible payment arrangements. It will be particularly important if your health insurance does not cover the procedure you require or if you do not have health insurance. They should have a good understanding of the arrangements for claims on health insurance and be able to advise you of this. In addition, they should be able to advise you of prices and you can confirm at what level they are in comparison to other dentists in your region. The costs may vary between dental practices. So if the information is not available on their website, then you could ask for an estimate for standard procedures that you could require such as fillings, crowns, or even root canal work. You should feel comfortable with your dentist. Are you able to explain symptoms and ask questions? Do you feel like the dentist listens to your questions, concerns, fears, and requests? You would probably prefer that your dentist has a friendly, caring chair side manner. And that they pay attention to the smaller details as this will ensure they are thorough with your care as well. The dentist’s office should be able to tell you about the dentist’s training. It is worth clarifying their educational qualifications and where they completed their education. The level of their knowledge will be influenced by the level of their training. This information should be available on their website. If they have undergone additional training, and they are able to show that this has been a continuing element throughout their career, then you can feel more confident that they will have a depth of knowledge as well as current professional skills. It is also worth looking at their professional memberships. Do they have local state or national memberships? Have they been involved in ongoing development and training in the dental industry? You might want to know if they have kept up to date with developments in dentistry and the new techniques that are now available. 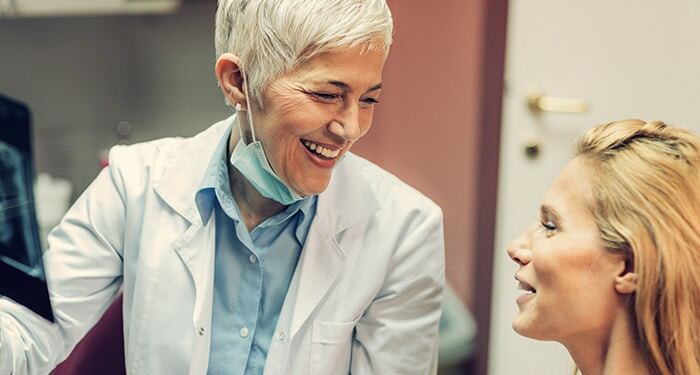 The dental practice should have policies for a range of areas, such as infection control, as well as administration considerations such as the privacy and confidentiality of your personal information and dental records. If you inquire about this and you find the staff are not comfortable providing answers or you do not like their answers, then it would be a good idea to consider another dentist. If they have invested in suitable technology, and if they have ensured that their premises are kept up to date and well presented, this shows their interest in their business. You may prefer to choose a dental professional who has been working in the industry for many years. But at the same time, if they have been recently trained they should have knowledge of the latest technological innovations. If you have special requirements, such as treatment for young children or you are an older member of the community, then their site should confirm if they specialise in providing suitable care. The language they use to describe the care they provide will also help you confirm how much they understand about your specific needs as well. A good dentist will be developing a treatment plan for you. A treatment plan is a personal plan you and your dentist develop together to meet your oral health needs. It serves as your road map to good oral health and should not be limited to the most basic requirements. It is important that your dentist is able to clearly explain what is included in the plan and the reasons for this. Your understanding of the plan and your contribution to it are vital for it to be successful. If you require simple care and regular check-ups, then most dentists will be able to provide this without any problems. If you require more involved care, then you need to ensure you will receive the best treatment at an affordable price. You need to make sure that the dentist you will be seeing is able to provide the full range of service you need. The alternative is that they will be sending you to another dental specialist in another practice for specialised services. You need to be clear about this because you will have to rely on their judgement for the referral to another professional. Preferably, you will be able to receive the treatment you need at the one practice. This will reduce the experience of stress you can feel as a result of dealing with different people in different environments. Making sure that you will be able to receive quality care using quality materials is also important. With some practices, they have a very good knowledge of cosmetic dentistry and this can make a substantial difference when it comes to receiving treatment. There are a number of treatments that are available and the range of materials that can be used for these will vary. This will impact on the cost of the treatment and it is important that you are able to be properly informed about this as part of your consultation. There are also a wide range of orthodontic treatments available. There have been a number of developments in this area including pre-orthodontic treatments for younger children. A pre-orthodontic treatment is able to reduce the need for orthodontic treatment in some circumstances and is a valuable consideration for children. There have also been some great treatments introduced that improve the process of teeth realignment. Having access to these can make a substantial difference for some people and how they feel about this process. But there also needs to be cheaper options still available as well. We understand how important this can be and we will always ensure that you understand the options and what is involved, as well as the costs and the length of treatment. At Sunshine Dental Group, we provide a range of financial options to assist our patients to receive the care they want and need. We ensure that we keep up to date with any developments in the dental industry, whether it relates to new special techniques or more advanced materials becoming available. We understand that older patients require special care and we provide services that have been well received by the local community. We also have an awareness of how difficult it can be for people coming to a new dentist for the first time. Our staff are committed to providing you with an environment where you can feel secure and we will always check with you to ensure that you are comfortable with our processes. We understand that making any decision about your dental treatment is an important one and we will provide you with all the information you need to be able to make a properly informed choice. Contact Sunshine Dental Group by calling (03) 9311 1056 today and one of our friendly and helpful staff will be able to answer your queries. Can You Afford All-On-4 Implants?